Looking for a reliable and trustworthy removals company in Clapham? Roberts & Denny’s have been moving people in and out of Clapham since the 1930’s. Our expert knowledge and house movers experience has earned us our reputation as one of the top removal companies London has to offer. Our man and van Clapham services are perfect for students looking to move home with not too many belongings. If you’re in need of a larger scale family household move, we offer a full domestic removals service that ensures your moving day runs as smoothly as possible. Moving can be a stressful time for many people and households, especially when it comes to packing up your belongings. If required, we can supply you with a professional dedicated packing service to ensure all your possessions are well protected and ready to go come moving out day. Our expert home movers will handle all aspects of your removal allowing you to focus on the other details of your move without the stress and worry. Our fleet of vehicles travel nationwide to get you settled in your new home and make the whole process as smooth as possible. Operating in the residential removals, commercial removals and storage industry for over eighty-five years and have a whole host of accreditation’s and memberships, meaning you can have peace of mind when we carry out your removal. 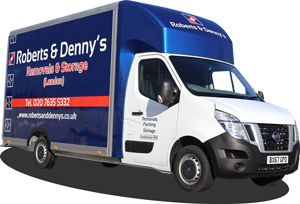 For more information about our domestic and commercial removals in Clapham, please call us on 020 7635 5332 today. Alternatively you can complete our simple contact form and our friendly staff will get back to you within 24 hours to discuss your requirements and give you a free no-obligation quote. 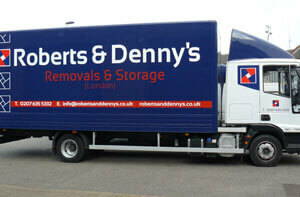 Why Choose Roberts & Denny's Removals Clapham?